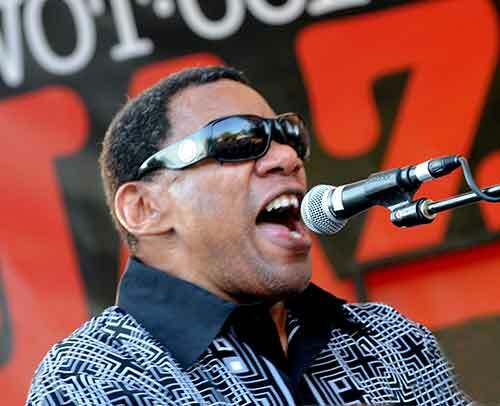 Arapahoe Community College and the Colorado Center for the Blind will welcome acclaimed musician Henry Butler to the ACC Littleton campus on Thursday, Feb. 18, from 6:30 – 9:00 p.m. in the Waring Theatre. The evening will begin with a “meet the artist” session from 6:30 – 7:10 p.m., followed by Butler’s performance from 7:30 – 9:00 p.m. Butler will tour the Colorado Center for the Blind earlier in the day. Considered the premier exponent of the great New Orleans jazz and blues piano tradition, Butler is a ten-time Pinetop Perkins (formerly W. C. Handy) Best Blues Instrumentalist Award nominee. A rich amalgam of jazz, Caribbean, classical, pop, blues and R&B, his music is as excitingly eclectic as that of his New Orleans birthplace. Blind as a result of glaucoma since birth, Butler has been playing the piano since he was six years old, and arranging, composing and performing professionally since he was 12. For over 40 years, Butler has conducted workshops, clinics and master classes throughout the country. He also developed a camp for blind and visually-impaired teen musicians. Also an accomplished photographer, Butler’s work was featured in HBO’s documentary entitled “Dark Light: The Art of Blind Photographers”. A collection of Butler’s photos are scheduled to be on display in the Waring Theatre on Feb. 18. This event is open to the public, and admission is $5 per person (ACC students receive free admission). Proceeds will benefit the ACC Student Emergency Fund and the Colorado Center for the Blind.